General Motors Co. and Honda Motor Co. took a big step toward putting out vehicles powered by hydrogen fuel cells by forming a joint venture to produce the systems for both companies&apos; vehicles. The automakers expect to begin production in 2020 at a GM battery-pack facility south of Detroit, creating about 100 new jobs. They&apos;ll also work together on setting up fueling stations to make the cars marketable. And executives say the use of fuel cell systems may not be limited to cars. 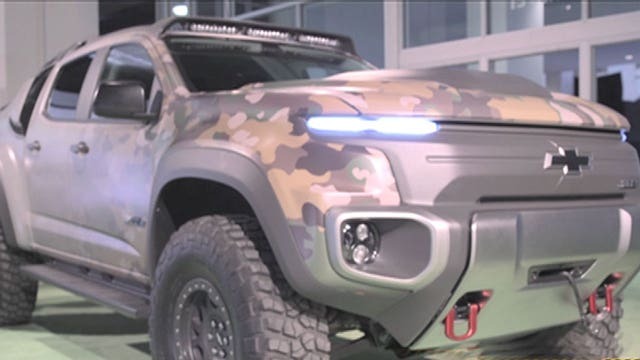 They said at a joint news conference Monday in Detroit that they&apos;re exploring military, aerospace and even residential uses for the systems, which generate electricity to power vehicles. The companies are equally sharing the $85 million cost of the venture, which came from a cooperative agreement on fuel cells that began in July of 2013. Executives said costs have come down dramatically since then and the new fuel cell system has become smaller, lighter, less complex and more durable. The fuel cell producing part of the system has been reduced to the size of a box that would come close to fitting onto an airplane as carry-on luggage. A first-generation system from GM took up the entire floor space in a van, executives said. GM isn&apos;t ready to say when it might have a fuel cell car ready to go on sale widely to the public. But product development chief Mark Reuss said that&apos;s not the only use. Fuel cells could have military applications as well as aerospace and even as home power generators, he said. "The Army is very interested in that," Reuss said. "We&apos;ve also done a lot of aerospace exploration on some of the backup systems that may be in some of those planes." Honda started delivering the third generation of its Clarity fuel cell vehicle to U.S. customers in December. Although GM and Honda have trimmed costs on the system by reducing the amount of precious metals in it and making it more efficient, the cost still will be higher than an internal combustion engine when production starts in 2020, said Charlie Freese, GM&apos;s executive director of global fuel cell business. "We do think the building blocks are in place to close that gap," he said. "We are taking a lot of cost out to make the system much more affordable."